Little feet love exploring with our comfortable baby soft sole sandals! 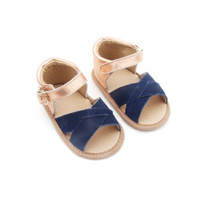 Our beautiful baby sandals are crafted with soft leather and are available in a range of colours and prints for your little style icon. ⚠️Please note that age guidelines are a guide only. Please measure your childs feet to determine the best fit.